My name is Robin, and so far I've been alive for somewhat over half a century. I've worked at quite a variety of jobs in my lifetime, including teacher of English as a foreign language at a college in Mexico for many years, airline reservations agent, direct in-home support to adults with developmental disabilities, big-box store cashier, clerk at a thrift store, and call center agent. I would love to retire from a day job someday, but unless a major miracle occurs, that will not be possible. Cooking, baking, COOKBOOKS; reading, talking about, trying and developing recipes. TURTLES (freshwater), llamas, cats, lizards, otters, fireflies, dragonflies, ladybugs, butterflies, groundhogs, and robin birds (especially since my name is Robin); now learning to love all kinds of tropical wildlife. My husband is an enthusiast of sloths, pandas, and bears in general. Linoleum print carving, mini-zine making, drawing, painting, cross stitch, creative writing, adult coloring, zendoodling, woodburning, very simple sewing, papercrafts, floral arranging; would love to try a lot more things. Sorry, but I am not really into gothic/dark, tattoos/piercings, girly things like make up and spa treatments, Disney, video games, cynicism, political bashing, anime, manga, new age, erotica, vampies or zombies, kawaii, or gourmet coffee. I'm not big on shopping (except for groceries, I do enjoy grocery shopping! oh, and thrift stores) and I am working on being less sarcastic. However, I'm really not at all as crochety and dour as I know that last paragraph makes me sound. :-) While I do strive to be the best me that I can be, I do not believe that perfectionism is healthy. I will always rate you for a swap I received. It might not happen the very same day that I receive your item (I can sometimes go a few days between visits to the site), but it will be within a week. I've been a member here at Swap-Bot pretty much since the beginning of the site. My level/intensity of swapping activity has varied widely through the years. I've seen many trends come and go, as you might imagine. In recent years it has become quite popular here to maintain a "wall of shame" or list of people who have flaked. I choose not to do that. There have been quite a few who have "done me wrong," and, yes, of course it's unpleasant, but I consider this an issue only between my partner and myself. I have given people low ratings when warranted -- and I consider that sufficient "punishment." If your views differ on this, I respect that. Please also respect mine. As for my own (few and long ago) 1s and 3s: I am not proud of them, and I accept them without argument as fair consequences for my actions at the time. However, I generally don't discuss those ratings with anyone besides the people directly involved. cassette tapes (my 2002 Honda has a tape deck), any type of music, books on tape, etc. UPDATE: my beloved Honda has now passed to a better life, but I am working on getting a boom box with cassette deck. I have settled on cassettes tapes as my absolute favorite format! bookmarks, epecially handmade, related to your area (touristy or not), and the freebie ones given out by libraries, museums, bookstores, etc. "discarded" pieces of cross stitch/embroidery or old crocheted doilies/dresser scarves. It always kills me when I see a stitched picture for sale at a thrift store, because some poor woman worked hard and long on it only for someone else to go and throw it out/donate it. I do understand downsizing and all, but this is the type of valuable piece that can be used to create something else (pillow, pin cushion, greeting card, whatever), so I try to "rescue" these precious items when I can and the price is reasonable. Comment: I love the Christmas teas! All year if I can :) I might well see if I can restart my blog not on the school site. It may be summer before I get a chance to, though. Comment: Thank you so much Robin. I wish there were some way I could delete my comment. I'm sorry for the drama. Response: Thanks for the rating! No worries, I deleted the comment, which I had left up until the matter was cleared up, which it is. Comment: Thank you very much for the great teas and your letter and receipes. Comment: I haven't had these flavors of Twinnings before and I'm excited to try them. Thank you so much! Comment: Hi Robin. I'm really looking forward to trying the different teas. Thanks for such a nice note. Yes, I agree...a different part of the world lol. Thanks for the extra tea. Comment: wow, yes, great smells. so vivid. Comment: Thanks for the lovely card! Turtles are awesome. Comment: Thank you for the awesome 3D postcard. I love turtles! Comment: Loved it thank you. Comment: Hope your holidays were happy! Comment: Merry Christmas Robin thank you for the card and I enjoyed the cup of tea! Grayson enjoyed receiving your Halloween card. Thank you for your thoughtfulness. Happy Halloween! "For the word of God is alive and exerts power and is sharper than any two-edged sword and pierces even to the dividing of soul and spirit, and of joints from the marrow, and is able to discern thoughts and intentions of the heart." 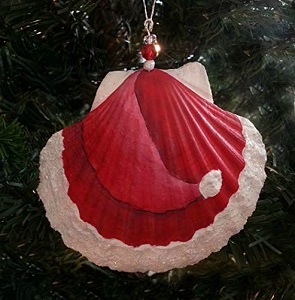 Who needs snowflakes when you have seashells! 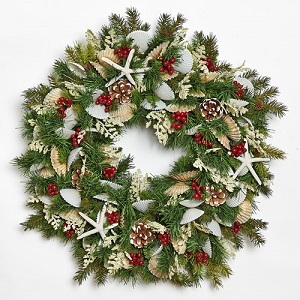 Deck the palms with bows and holly! 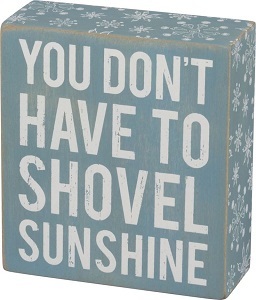 You do not have to shovel sunshine! 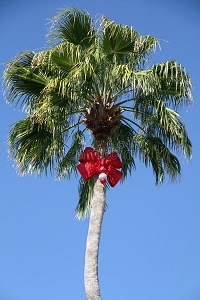 Merry Christmas in July in Florida! Thanks so much for the bonus patriotic postcard and the kind words! I hope you had a wonderful July 4th! Thank you so much for the cookbooks you sent me for the Swap Tag USA. I love them!! 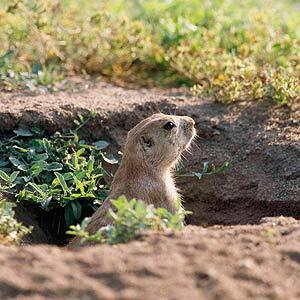 Ground Hog Day profile decorations! 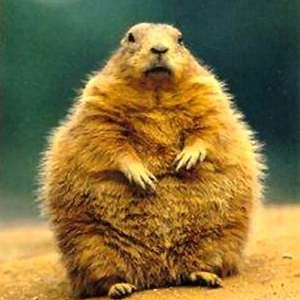 Did he see his shadow? 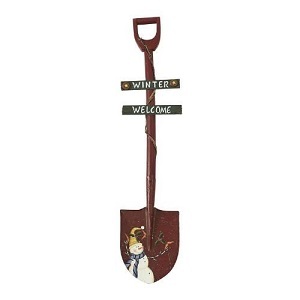 Is winter still sticking around? 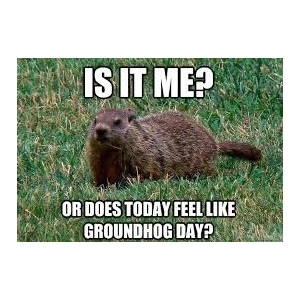 Only the groundhog knows. 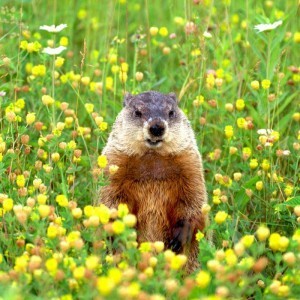 Hello, Happy Ground Hog Day and thank you for joining my swap, personally I follow NY Staten Island Chuck and I am hoping he doesn't see his shadow and we get an early spring!